When he was 11 years old, he lost his father. They have had a huge barking dog. One’s day, his father going to tired but the bit in his father's ear. There was no hospital nearby and have not known got the rabies vaccination within 24 hours. Father has had a vaccine after two days, but it was already late. After three month his father was dead. It was impressed him to be helping in remote village area, giving education and supporting in development as volunteering. There all family was depended on father at that time; that is why life was very hard to run. Difficulty finished his school level, then came to Kathmandu for job and further study. At that time, his older brother was already working in trekking guide. Someone said; "I want to study, but need to pay campus fees, foods, accommodation so that should be working". His brother wants to help in Suman study, but he had been more responsibility to take care of old 2 grandmothers, mother and sisters. After that he was looking job, whatever possible, but it was hard because of he has not any experience and certificated. It was straightforward to join trekking porter because of his old brother already have the same job and pushed as well that combination as trekking porter in season time and off season time back to hometown for helping families for farming. Trekking porter became trekking/climbing guide. The study was on hand and trekking was other hand, as well as supporting to the family. During the trekking/touring Guide, he has been visited all around Nepal, especially in all trekking areas as well as Tibet, Bhutan, and India. He has been above 6000 meter peak many times. He said; "many years of working as trekking/touring and climbing guide many of my foreigner friends encourage me to do own business in tourism field." After that I have found of “Asian Hiking Team”. 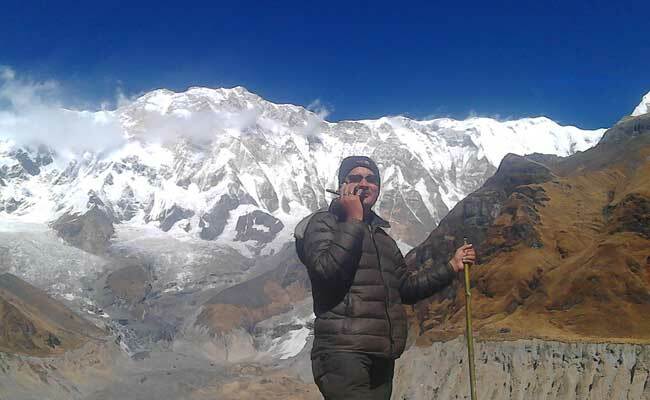 He is fortunate to be the Team Leader of Asian Hiking Team; well known government licensed trekking, climbing and touring companies in Nepal and is a member of TAAN (Trekking Agencies Association of Nepal), NMA (Nepal Mountaineering Association), KEEP (Kathmandu Environment Educational Program), Village Tourism Promotion Forum Nepal (VITOF-Nepal), and the Nepal Tourism Board (NTB). He lives with my wife and two young girls "Jenifer and Bunu". He is still a keen endurance trekking, climbing Snow Mountain and one day he wants to record to summit height mountain Everest. "He said that his approach to work tries to make a difference, not only to benefit from beautiful country and cultures, we tours, but actively try to give something back to them as well as customized programs taking into consideration of your desired destination, budget and time constraints, health issues, interests and the level of adventure sought. I am very thankful that the peoples find me, interesting enough to seek me as a guide/Leader and operation trip. I do provide both one-to-one guiding/leading and operation trip in Nepal, Bhutan and Tibet to travelers who feel the need to take their holiday or feast performance to a higher mental level". His aim is traveling together or providing the best service and sharing knowledge, collect funds to helping remote areas peoples in the development of Education, Health and Environment awareness. He loves challenges, mainly ones that require him to stretch himself mentally and physically. He enjoys reading philosophy, sports, singing whilst retaining a pragmatic approach to life and he doesn’t take himself too seriously, but think twice times for his two young daughter's future. My motto is simple: “make a difference” ……. and I believe that anybody can, he said.